Did you know 92% trust referrals from people they know and are 6X more likely to do business with you? 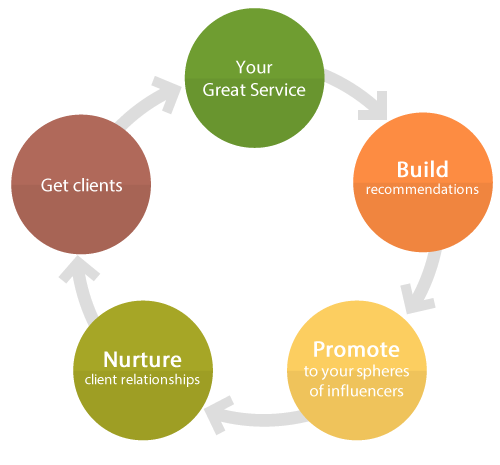 Are you actively building relationships and growing your referrals? Get started today! Growing referrals is like building your 401(k) – the sooner you start, the more you benefit from a compounding effect. With Reach150, we help you gather recommendations from happy clients, and promote yourself on social networks and stay top of mind with re-targeted advertising on today's most popular websites. According to Dunbar's number, on average, a person can maintain 150 active social relationships. At Reach150, we believe activating your sphere of 150 influencers is the most important ingredient in growing your business through referrals! Sign up with Reach150 and start requesting recommendations from clients to activate your sphere of 150 influencers.